Many enterprises are re-assessing their investments in Web Content & Experience Management (WCM). In some cases, organizations are looking to implement it for the first time. In other cases, enterprises seek to replace a creaky system from a legacy WCM vendor. WCM adherents must often compete for resources with outbound marketing initiatives around email and social. What is the case for investing in inbound engagement? As it happens, technology to manage web content is a “must have” across every industry. As marketers seek to create more sophisticated microsite and landing pages, and transition from responsive to adaptive mobile, WCM becomes essential. More advanced use cases — like injecting marketing communications into transactional environments — can also call for effective WCM technology. In this session, we'll explore the key benefits that the right WCM technology promises. 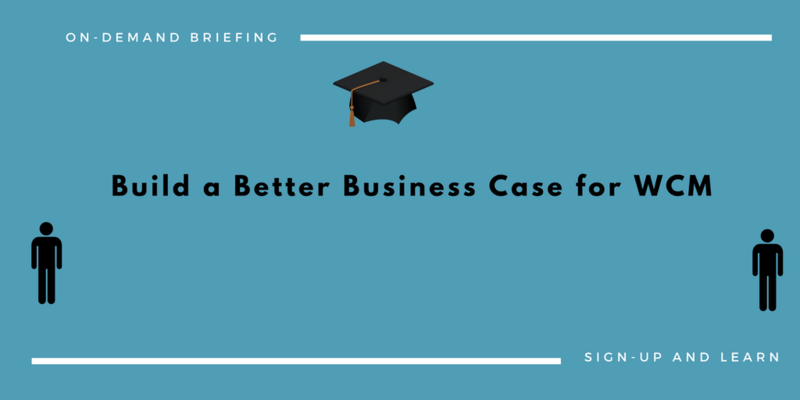 But, we'll also give you the real story on the costs that you need to plan for when building a business case for your WCM initiative.